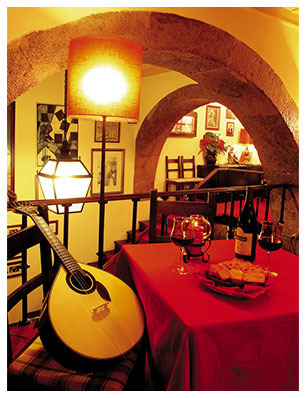 The Restaurante “Clube de Fado” is in the heart of Alfama and just a “stone’s throw away” of the renowned Sé de Lisboa (Lisbon Cathedral). If you enjoy excellent Portuguese traditional cooking, the sound of a Portuguese Guitar and to hear the greatest portuguese Fado voices, come to our “Fado Club”. 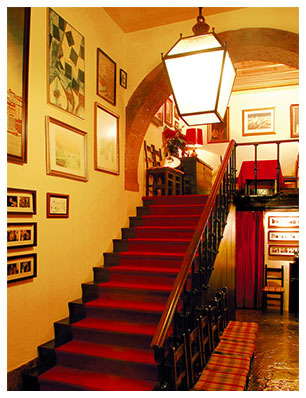 As you cross our thresholds you feel immediately a different atmosphere: Warm, Romantic, almost Mystical! Its architecture tells us stories of ancient existence. Solid walls, columns, arches, ogival ceiling combined with a tasteful and discret style built upon tradition. The ambience that surrounds you invites you to enjoy our magical atmosphere. We invite you to enjoy the fabulous dining-room with the warmth of a personal welcome and magnificence of its architecture (ogival ceiling, columns and moorish well). During your dinner you will listen to well-known, and also amateur artists. 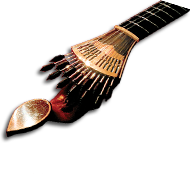 Participate: sing or play an instrument and you will contribute to the “friendly atmosphere” of “Clube de Fado”. 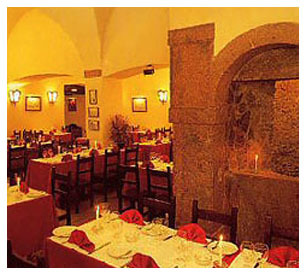 After making this tour through the Restaurant “Fado Club”, draw your attention to the original corner where you can find the “Moorish Well”. Admire it and make a wish!